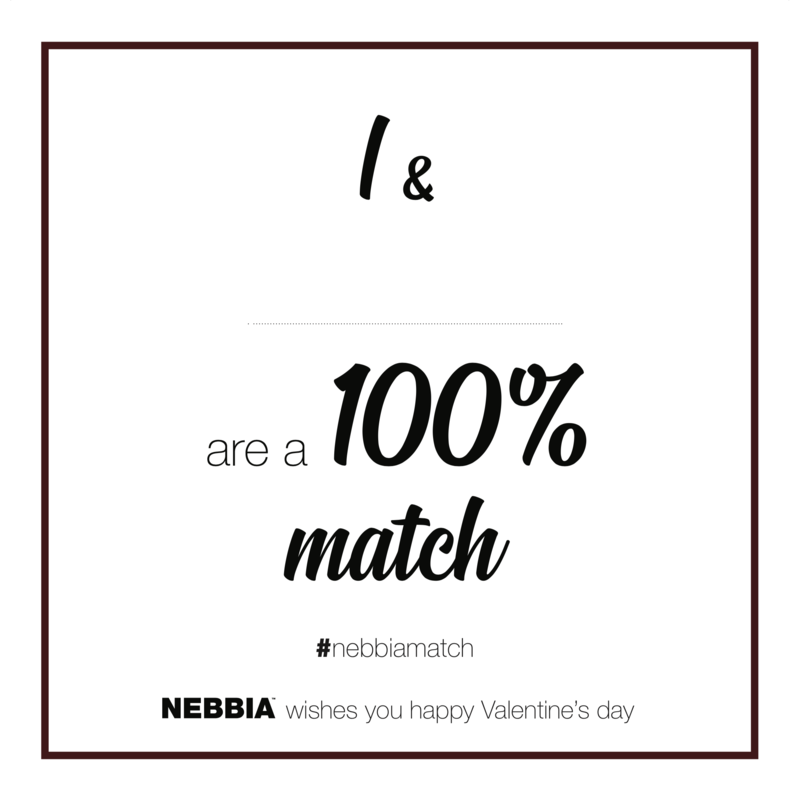 Valentine’s day, it means presents given with love, and that is why NEBBIA would love to gift its customers and fans with 3x 100€. The contest runs from Monday, February 4, 2019, to Wednesday, February 13, 2019 until midnight (GMT + 2). You will join the competition after you complete the card you receive with your order, you make a photo of the card then you post it on instagram and tag it with hashtag #nebbiamatch. Your instagram profile must be public so we can see your photo. WHEN DO WE CHOOSE THE WINNER? The contest will end on February 13, 2019 at midnight. The winner will be choose on Thursday, February 14, 2019. HOW WILL YOU KNOW IF YOU ARE THE WINNER? Authors of the winning photo will be notified via instagram message. By joining the competition, you consent to the processing of your personal data (name, name of your instagram account, and the photo you have tagged with hashtag #nebbiamatch) for 1 month for the purpose of drawing the winner, winner announcement and delivery of the win. If you wish to withdraw your consent, please email us at support@nebbia.sk and you must do so before the draw and you will not be included in the draw.